Olympia Time: Why is Oregon different regarding the primary question? Why is Oregon different regarding the primary question? I would normally want to make this a longer post, and I might later on some other blog, but in case I have any regular readers, maybe someone would want to clear this up for me. 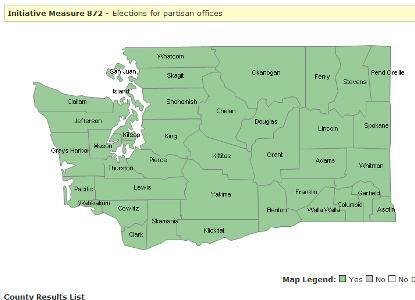 In Washington, despite winning popularly across the entire state, I-872 is almost totally panned by party activists. I've only seen myself and Tim Copeland from Blue Washington come out against the lawsuit by our party to overturn the new voting system. Not much debate among progressives, or among the politically engaged at all. Yet, in Oregon, where the One Ballot Oregon initiative, there is lively debate among progressives. What's the deal?